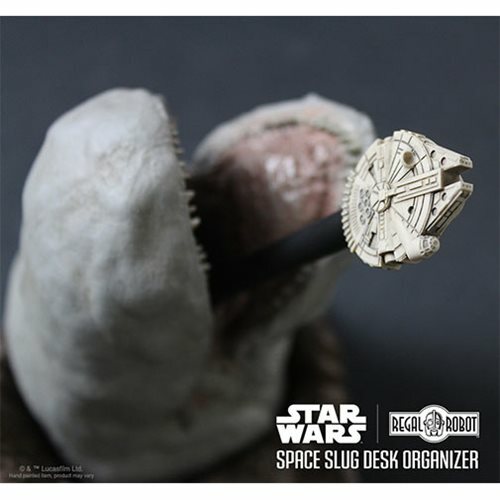 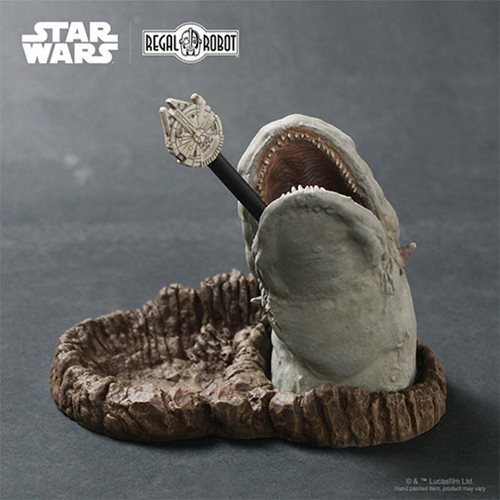 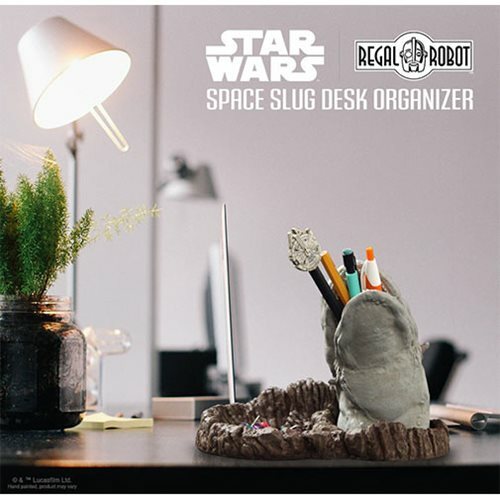 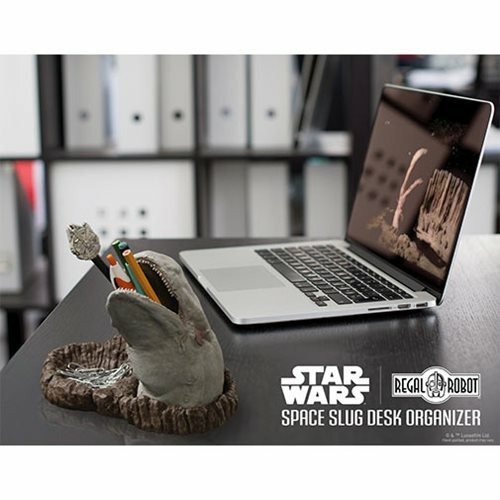 Regal Robot is pleased to offer their Star Wars: The Empire Strikes Back Space Slug Desk Organizer. 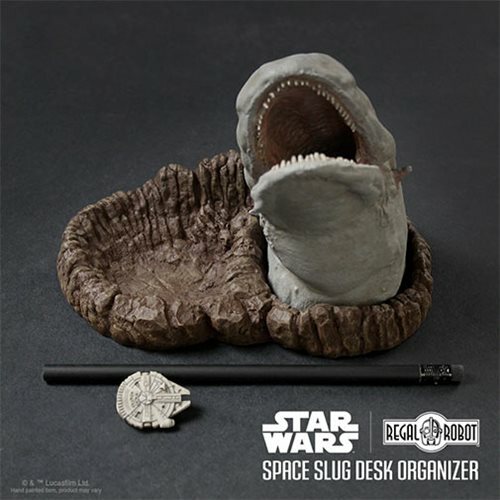 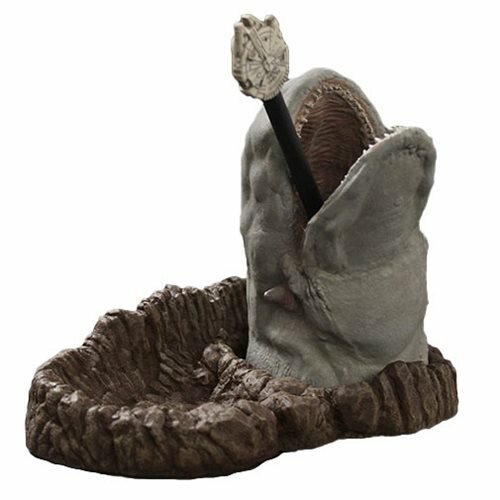 Created using a detailed scan of the original prop Exogorth puppet used in the film, this solid resin desk organizer is made in the U.S.A. and hand painted. 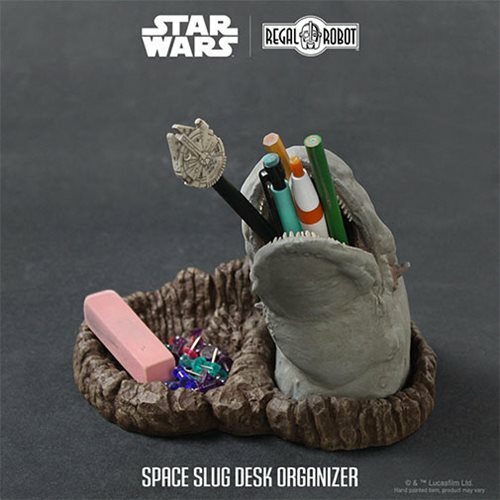 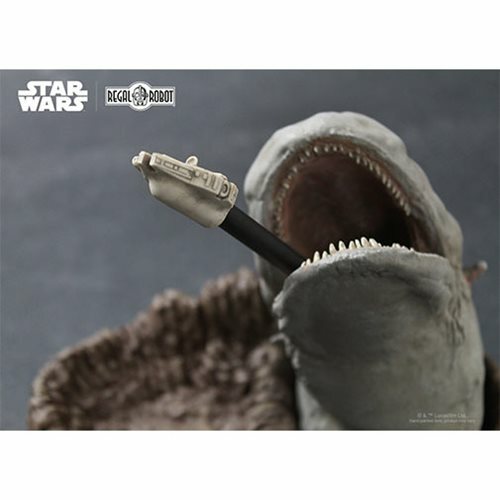 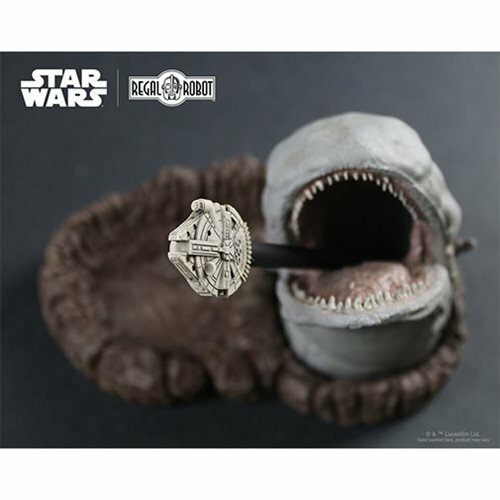 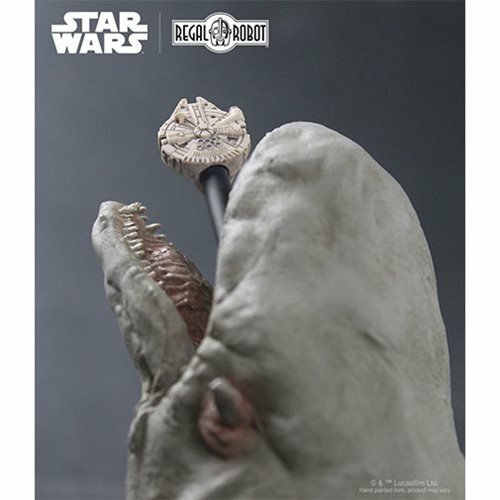 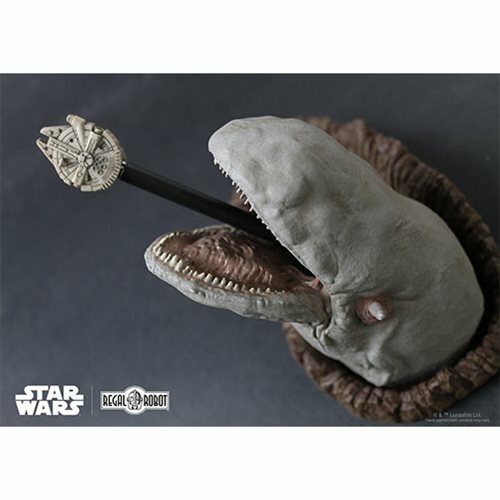 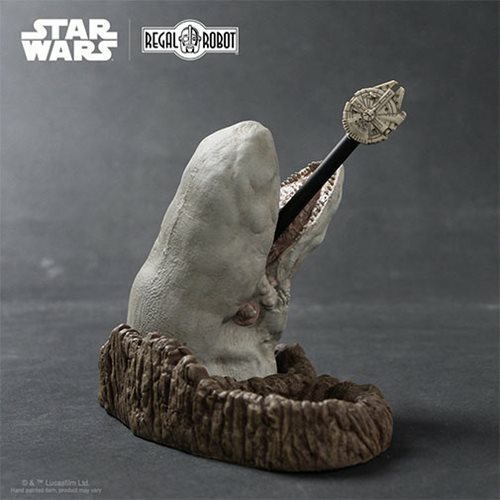 It comes as shown with the asteroid and slug, resin Millennium Falcon pencil topper and a black pencil!